– A fully equipped 25 bin one metre stand. 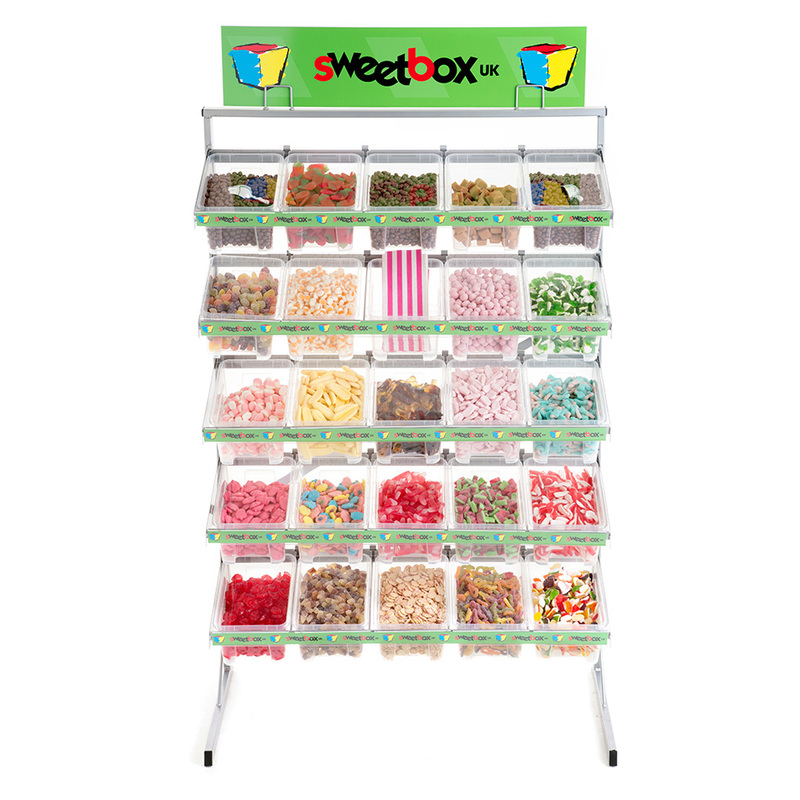 You will receive a complete fully equipped pick and mix stand plus 60kgs of our best selling sweet varieties – including the following examples. Bananas, Vanilla Fudge, Cola Fizz, Jelly Teddy Bears, Shrimps, Crocodiles. but to keep the cost to you down we rotate the range . If you prefer Pick n Mix cups to bags just let us know. So for only £550 plus VAT and no carriage charge you get the lot ! This unit now has the facility of being a double sided unit with the addition of 5 shelves to the reverse plus leg supports. Please call for details and price. If you wish to order a stand for delivery to Ireland please add the £95 shipping charge as can be found under Extras in our on line shop – thank you. Allow up to 5 – 7 working days for delivery.